Because your wedding is one of the most special, if not the most special, days in your life, it’s only natural that you want to go out of your way to make it unique. 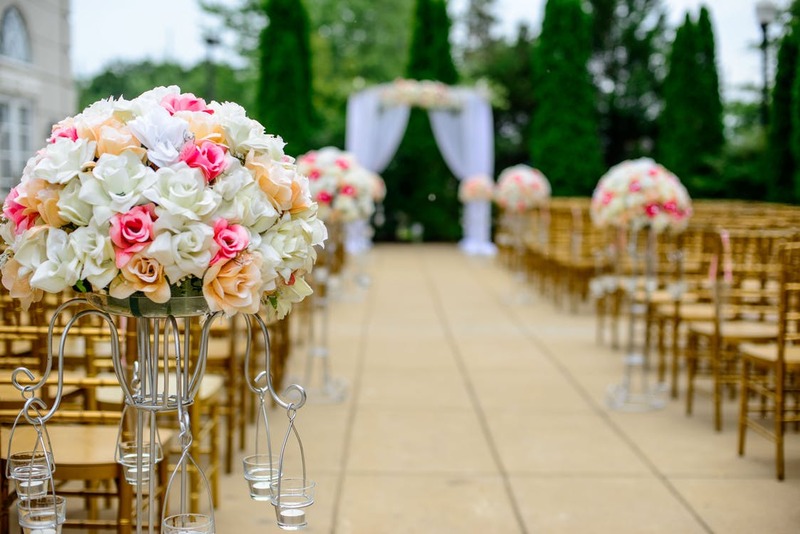 Weddings that reflect the personalities of the couple tend to be the most memorable and personal, not just for the couple but for all the guests who attend. If you want to be sure to include a few unique touches in your wedding, then you will want to take a look at these romantic ideas. Your wedding ceremony is the perfect place to add a unique touch. It helps to set the tone for the day, and marks the special moment that you exchange vows with one another. A wedding sand ceremony could be that unique touch that you’re after that helps to take your wedding ceremony from average to exceptional. A wedding sand ceremony involves a blending of sands. The groom and the bride each hold a bottle of sand in the color of their choice. They pour the sand together into a vase as a way to symbolize that they are joining together. Many couples are now choosing a wedding sand ceremony instead of the more traditional unity candle lighting. What makes this ceremony even more special is the fact the bride and groom get to keep the vase of sand and display it in their home as a reminder of their vows to one another. Because just about everyone has a smartphone nowadays, it also means they are likely connected to social networks. Now is the chance to use this to your advantage. Provide your guests with an Instagram tag before the ceremony begins. Each time guests take pictures and post it on Instagram, ask them to use the tag. You can then use this tag to find all the photos being posted online, in real-time, and create a slideshow out of it during the reception. Guests will love seeing their pics appear on a big screen practically the moment they take them, and you’ll be able to see some wonderful moments you might otherwise have missed. Another unique idea is to hire on an extra photographer who also brings a portable printer with them. Guests can be allowed to request copies of photos right on site so they get to go home with these mementos. Chances are that this will be a big hit, so you want to be prepared and make sure you have plenty of photo printing paper on-hand. These unique touches are just a small look at the different ways you can ensure your wedding is different, filled with love and romance, and is memorable to all. You may wish to just add one special touch, or make it a point to include a variety of unique touches throughout the entire day and evening.